“Othello” and “Twelfth Night” will return to the stage this summer at the renowned Delacorte Theater as part of The Public Theater’s annual series in Central Park. 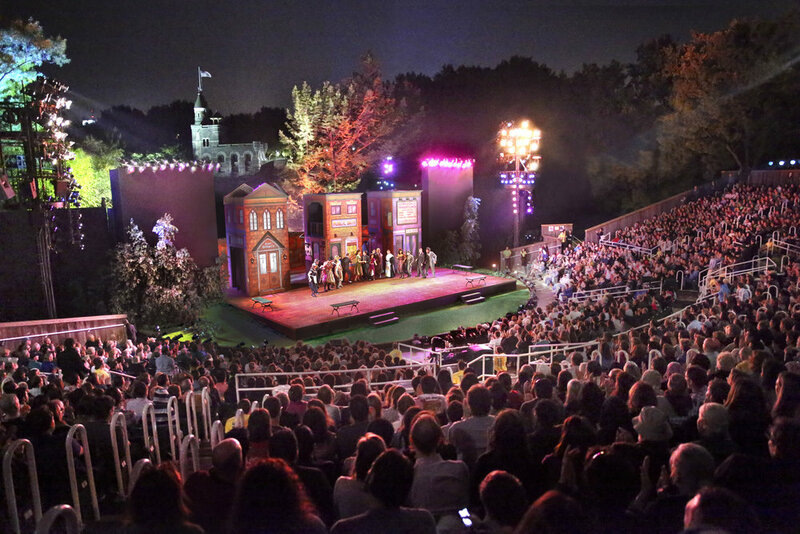 The “Free Shakespeare in the Park” shows offers theater lovers – New Yorkers and tourists alike – the chance to enjoy high-quality performances among the park’s sylvan setting. The Public Theater’s modern versions of Shakespeare’s famous works often reveal hidden truths and social implications. Like last year’s politically-charged production of “Julius Caesar” and its likeness to President Trump, the Public Theater again has chosen to provide the public with a performance of “Othello” that’s expected to have connections to what’s happening in the modern world. “Othello,” which will run from May 29 to June 24, revolves around two central characters, Othello, a general in the Venetian army, and his relationship with an unfaithful officer named Iago. The Public Theater will put on “Twelfth Night” from July 17 to August 19. The play, a comedy, features the story of twins Viola and Sebastian who are separated in a shipwreck.